Preheat oven to 180C. Mash the banana in a mixing bowl and mix in the egg, peanut butter, and carob powder. Add the coconut flour and coconut and mix thoroughly. 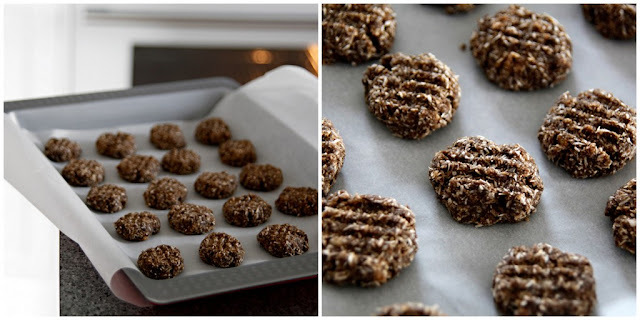 Roll into small bite-sized balls, place on a prepared baking sheet, and flatten gently. Bake for approximately 15 minutes. Cool before serving and storage. Cool for the first 5-10 minutes in the oven with the door ajar for a crispier biscuit. 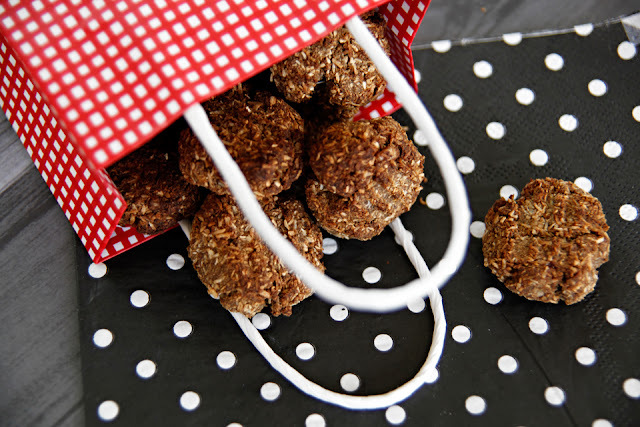 These treats can be frozen if you would like to freeze extras or make a large batch for later. The treats can be broken for smaller dogs, or made smaller - just keep an eye on your cooking time, as the smaller the cookie the shorter the baking time. If your chosen peanut butter is gluten free, then so are these treats. Coconut flour is a good option for gluten-free / grain-free pet treats, but its also a pretty healthy choice outright: it is high in fiber, high in protein, and low-GI relative to alternatives. It creates a light texture in baked goods helps with the crunchy goodness in these treats too. You can substitute any flour of your choice (plain, wheat, rice, cornflour, etc), but you might need to up the quantity to get a good consistency as coconut flour is very absorbent and the final biscuit will be a slightly different denser treat. Different carob products may be stronger/weaker in smell and flavour. My go-to carob powder is quite potent. Not sure about yours? You can probably get a very good sense from the smell, but don't be shy to try a little taste taste. :) It's pretty delicious...you might even get hooked! Adjust quantities if/as needed to suit your supply and tastes. Happy baking! Hungry for more tasty treats? See all of our recipes here. Remember, treats are for spoiling your pup in moderation. Some dogs have special dietary requirements and/or food allergies/intolerances. If you are ever in doubt, have a chat with your vet. 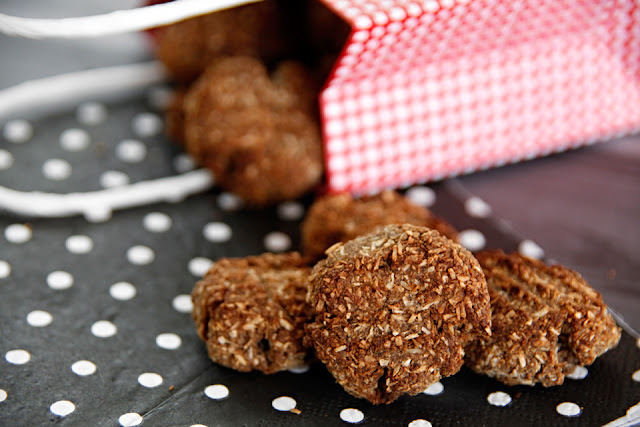 Stay tuned for more delicious dog recipes, with fresh treat ideas served weekly!